This week, as my sixth graders move forward with planning out a digital picture book that uses the concepts of a fictional journey/adventure story while also explaining the phases of Cellular Mitosis, I have to admit I was worried that the complexity of the science would overwhelm the writing of the story. I guess I was wrong. Yesterday, after looking at some digital books from past years and a few other mitosis-related works (see this fun music video and also this voicethread sent to me by my friend, Maureen), they were incredibly excited about getting started. The air was buzzing with ideas and storyboards began to take shape. What are some of the ideas? and more … much more. Wow! I was pretty impressed, and these are just a few of the ideas. The storyboards will be done in the next day or so, and then they get to work on the laptops, designing their own art, writing the story first in Word and then, after mini-lessons with animation and other interesting things in Powerpoint, moving to construct their story as a digital document. If you are interested, you can view the project overview, the project checklist and the scoring rubric that we are using for the project. 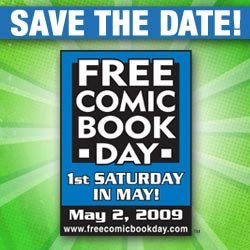 This Saturday is Free Comic Day, which means that if you have a comic book store in your area, they will probably have a boatload of free comics to give you when you walk in the door. No catch. Just free comics. Now, to be honest, they’re not usually the best comics out there, and often, they have short story lines and agonizing cliffhangers. BUT, for teachers, it is a way to get free comics for your classroom and most stores will sort them out for appropriateness of age level (mine does, anyway). Last year, I grabbed about 25 comics and used them for lessons around figurative language and use of dialogue with my sixth graders. They ate them up! The Free Comic Book day is another reminder that graphics and words can be a powerful incentive for young readers. (see The Graphic Classroom for reviews on graphic novels for the classroom — I am one of the reviewers there, keeping a focus on appropriateness for age levels). Today, I began the initial work with my sixth graders on creating digital picture books that will integrate knowledge of Cellular Mitosis into a fictional adventure story. They will be using MS Powerpoint as their platform, with animation, audio, hyperlinks and video embedded into the books. Today, we looked over Magic School Bus books and talked about the use of layered literacy (I didn’t use that term, of course, but that was what I was getting at), and then we watched a video of one of the Magic School Bus shows, and we talked a bit about the difference in media. I want them to think critically as viewers, so that we can then make the shift to critical composers/writers. Tomorrow, I hand out a packet with instructions and they will begin some initial brainstorming on story ideas and maybe even push into some storyboarding. 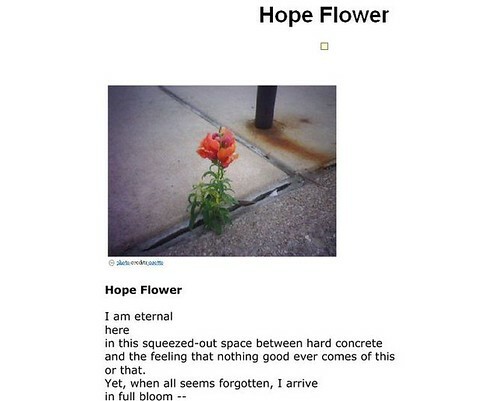 I will even show a few samples of digital books from past years. In the past, my students had more freedom for curriculum topics, but I am working more closely with my science teacher partner this year to get deeper into understanding mitosis, so we’ll see how things fare as we move along. This is vacation week and my older boys have been working with a neighbor friend to create their own “newspaper” of events in our ‘hood. It’s been fun to watch them talk about what they will report on (creating a new bike path through our back woods, a profile of a neighbor who promotes baseball, the ‘dirt pile’ on a neighbor’s yard, etc.) 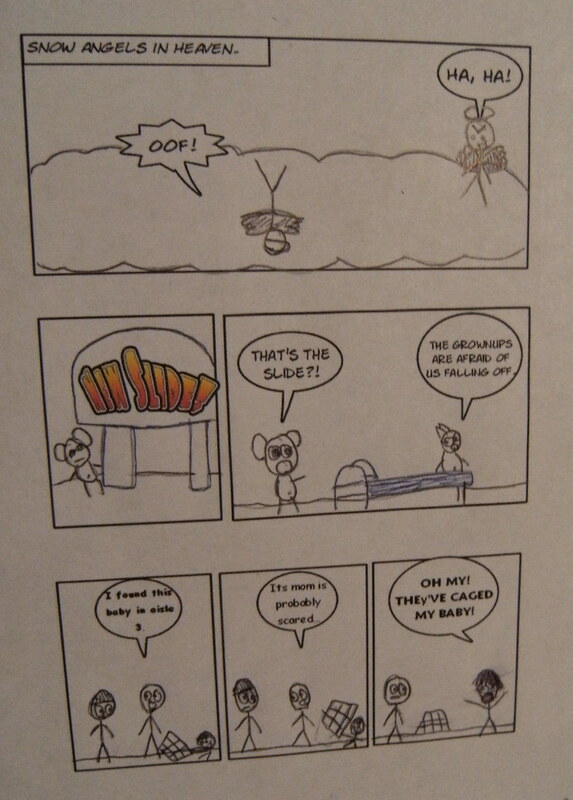 My older son worked on a few comics yesterday that we will be putting up on his blog — Crazy Cartoonz — in the next few days. He did the layout on ComicLife and then he drew the artwork by hand, and I just laughed at his comics. (PS — the follow-up to this comic will be Urth creating an entry on Wikipedia about their beloved teacher, Mr. Teach, and causing a bit of … well … concern).